The Call for Papers for next year's SAS Global Forum (SGF) opens tomorrow, August 28th. The conference will take place between April 28th - May 1st 2013, in San Francisco, USA. Paper presentations are an invaluable part of what has made SAS Global Forum a focal point of knowledge and learning within the SAS community for more than three decades. They offer a fantastic way to not only gain recognition for your expertise among fellow SAS professionals, but also create a dialogue with your peers and colleagues. Attendees can benefit directly from your paper presentation by applying your perspectives and ideas to their own work. Professional development. Hone your business and communication skills and demonstrate them to your employer to help you take the next step in your career. Educational process. Use the process of preparing a paper as an avenue to find better ways to deal with programming issues. Insightful feedback. Get helpful feedback on your ideas and approaches to programming problems. Key connections. Increase your visibility and leadership potential by meeting contacts and colleagues in your industry and in the SAS community. Community experience. Enjoy sharing your ideas and participating in social functions with other members of the SAS community. You have plenty of time to prepare your proposal before the Call ends. What are you waiting for?! Metacoda's Michelle recently wrote to me. 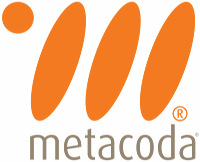 I'm a fan of the Platform Admin blog, written by Metacoda's Paul; and I've long been a fan of Metacoda's Security Plug-Ins that offer a far wider and clearer window onto the complexity of SAS security metadata. I'm keen to support all the great products in the SAS third-party market, so I'm happy to reproduce the key parts of Michelle's email below. It can be quite disconcerting when you unexpectedly find that something (or somebody) with which (whom) you've become very familiar over the years has suddenly changed significantly. I can't even remember why I was recently looking for information about the SASware Ballot, such was the shock to find the changes that had happened to this old friend. 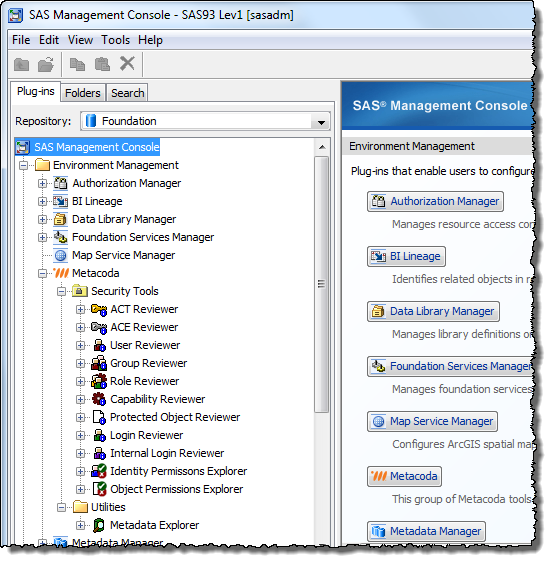 Since I can remember, the SASware Ballot was an annual survey of customers by SAS, with the aim of giving customers the opportunity to influence product development by voting on their favoured enhancements. It used to be posted to all customers; the results would be announced at SAS Global Forum (and its predecessor, SUGI) with great fanfare. So, imagine my surprise to find that it's now online and open all year round. Fantastic! There is still a fanfare and announcement of results at SAS Global Forum, but it's now an ongoing, continuous "conversation" between SAS developers and SAS customers. So, if you would like to propose an enhancement to SAS software, go visit the SASware Ballot and make your voice heard. You can propose new ideas (to be considered by Development for inclusion in the Ballot), and you can vote on existing suggestions. I was disappointed at the absence of a category for SAS DI Studio, but I took the opportunity to vote for a number of features (I won't risk skewing the voting by mentioning them individually). And, no, I still can't remember why I was looking for the Ballot in the first place! 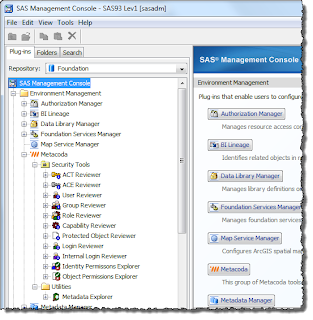 I recently spotted a valuable posting from SAS's Angela Hall on her Real BI for Real Users blog. I hesitate to suggest it was valuable because that implies her other posts are of less value! 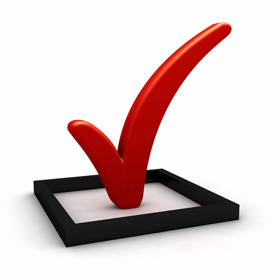 Not true, but this particular article was titled Testing recommendations for SAS BI Dashboard & SAS Web Report Studio and, with its structure following the data flow of a BI report, it offered a comprehensive check-list and set of suggestions for end-to-end testing of your BI reports. Testing delivers confidence not guarantees, and Angela's posting offers advice on how to decide what amounts of testing are appropriate for you. SAS technology is easy to work with and provides quick and efficient tools for getting your results quickly, but it cannot prevent its users from making mistakes. Beware of using the ease and efficiency of SAS technology to produce the wrong results quickly. As Angela says in her posting, "the most important thing is to do SOME testing of your reports"; that has to be the most valuable piece of advice in the posting! That's what happens when you take a break! I've not posted in here for a couple of months; my first post after my break (NOTE: When WORK is not WORK) looks a little sloppy. Damn! The information was technically correct, but I've had a couple of polite comments providing me with clearer, better information. Firstly, Linda drew my attention to the fact that the example I had provided only worked for Unix. I assigned the USER libname to "~". The squiggly line (called Tilde) means "my home directory" in Unix, but has no special meaning on Windows. Replace the tilde with a valid Windows path, e.g. "c:\", and you'll find it works a treat. And then Chris found what I had singularly failed to find (despite some considerable searching). I had found Unix documentation for the USER library, but I couldn't find it in any OS-independent documentation. Chris pointed me straight to the right place in the SAS(R) 9.3 Language Reference: Concepts manual. My thanks to Linda and Chris for taking the time to post comments. As my history teacher used to write in my reports: "must try harder"! This week is going to feel strange. "London 2012" will revert to simply being a reference to London in the year 2012 AD. Since the 2012 Olympics were awarded to London on 6th July 2005, the phrase "London 2012" has held special meaning and anticipation for us Brits. The last few weeks have been one long celebration for Londoners. Aside from some fabulous sport and competition, London has benefited from a multitude of cultural activities and events. Coming so soon after the celebrations for The Queen's Diamond Jubilee, I've forgotten what London is like in "ordinary" times. 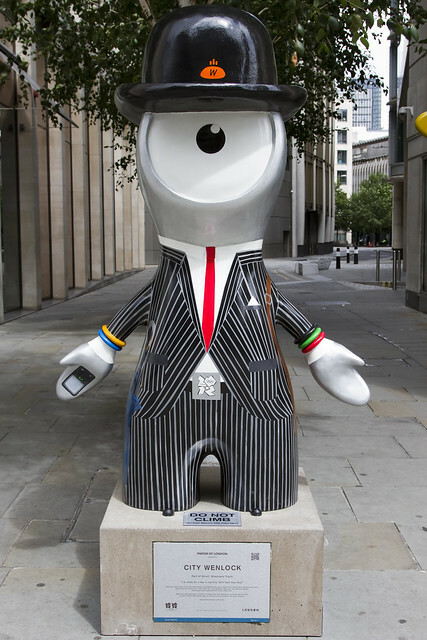 On my journey to and from my London office, and meeting friends and colleagues around London, I've seen plenty of Wenlock and Mandeville statues in a variety of costumes; a smartly suited gentleman with a flowerpot head walking around London Bridge railway station; London 2012 bunting everywhere; friendly greetings from every one of the many, many Olympic volunteers I came across; and had my hand shaken by a member of the Ood upon my arrival at London Charing Cross railway station! I was immensely grateful for the 24 (yes, count them, 24!) BBC TV channels, showing every minute of every sport live in High Definition quality. I'm now looking forward to the start of the Paralympics. I've got tickets for one of the paralympic equestrian events (no jokes about horses in wheelchairs, please) and I'm desparately fighting the Olympic ticket web site to get tickets for the athletics. Wish me luck! Subject to the value of the USER= option, one-level data set names refer to the USER libname if such a libref is allocated; if not, they're written to WORK. Here's an illustrative log. You can see how the same DATA statement is used in the two separate DATA steps (apparently implying the same output data set). Yet the NOTEs in the log show you how the behaviour changes after the USER libref has been assigned. NOTE: The data set USER.DEMO has 1 observations and 1 variables. Knowledge of the USER option can form a very useful debugging technique whereby you can quickly switch your code between creating temporary work data sets (normal mode of operation) and permanent user data sets (for debugging). However, why can I find it in the Unix Companion but not the Windows Companion? In fact, why can't I find it in the OS-independent companion. Answers on a post card please. Am I simply being myopic? ?